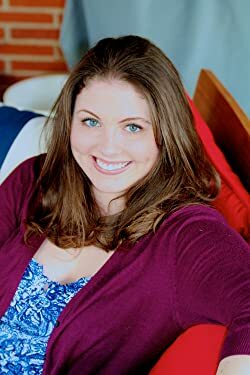 Bethany Claire is the USA TODAY Bestselling Author of the Scottish Time Travel Romance novels in Morna's Legacy Series. They include Love Beyond Time, Love Beyond Reason, A Conall Christmas (A Novella), and Love Beyond Hope, Love Beyond Measure, and In Due Time - A Novella. Bethany's love of storytelling has been a life-long passion. Even in her toddler years, she would sit down with anybody that would listen as she theatrically re-told the latest fairytale that had been read to her. As she grew, she created stories of her own, but convinced it would serve her best to follow a "conventional" career path, she tucked them away and went off to college. Fast forward four years and about six major changes later, she realized the stories simply were not going to stay tucked away. Months away from graduating with a degree in Elementary Education, and growing more miserable with every day that brought her closer to a career she truly didn't want, she finally realized writing was the only career that would make her happy. So, one day in the middle of a summer education course, she got up in the middle of class and walked to the Registrar's office and withdrew from the university on the spot. Since then, she has devoted herself to writing full-time and is following her dreams. Please enter your email address and click the Follow button to follow Bethany Claire! Love Beyond Destiny will release on April 24, 2018. Pre-order your copy today and be one of the first to read it when it releases.